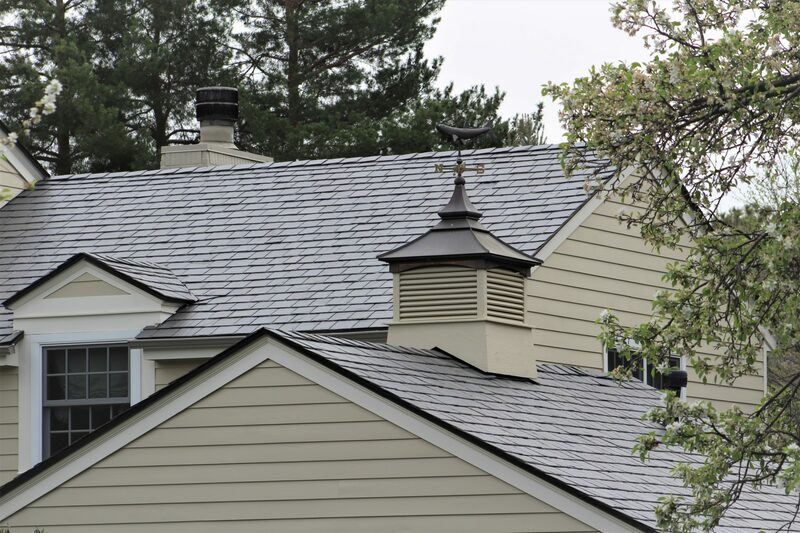 The SlateTec Vermont Black is a premium quality slate roof tile with shades of gray and black. 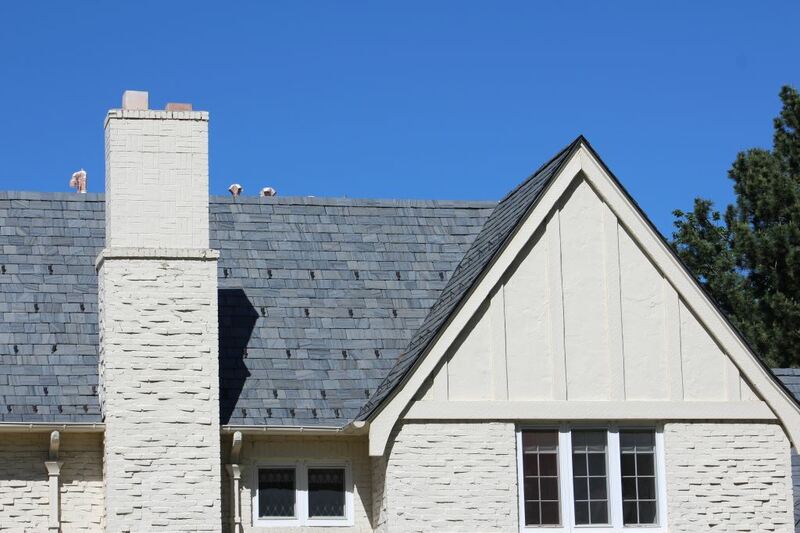 It is one of the most common slate colors and is used extensively on residential, commercial, and institutional buildings where a traditional slate roof appearance is desired. 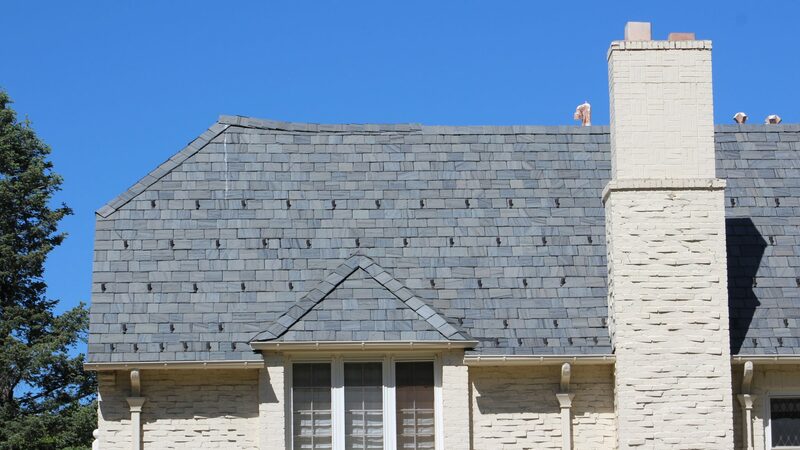 Although it is generally considered a uniform gray-black roof in appearance, approximately 4-6% of these slates will exhibit slight signs of weathering after 12-18 months of exposure. 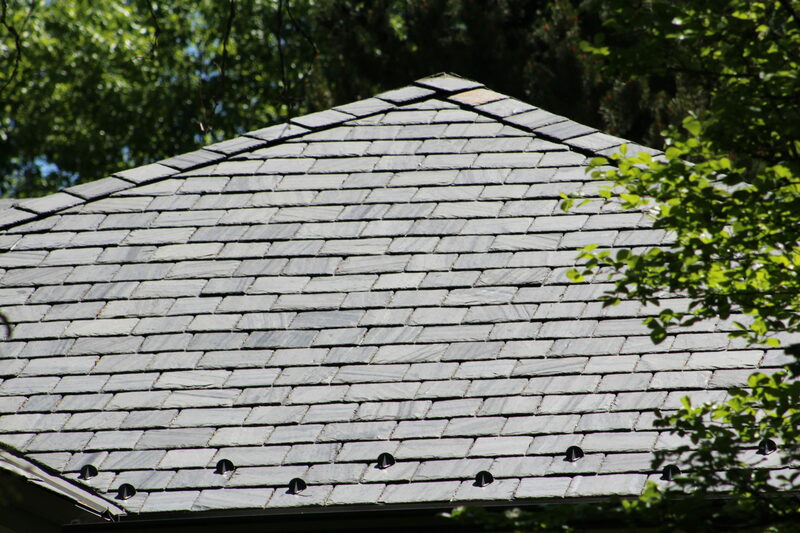 The Vermont Black slate is drawn from the Briar Hill quarries. 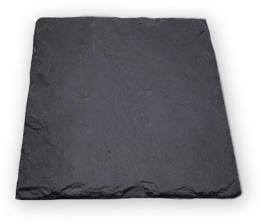 Imported from Spain, this non-fading and non-weathering elegant deep black slate is a fine quality slate with an exceptionally smooth texture. It is available as a 1/4″ smooth texture and is of the highest grade. 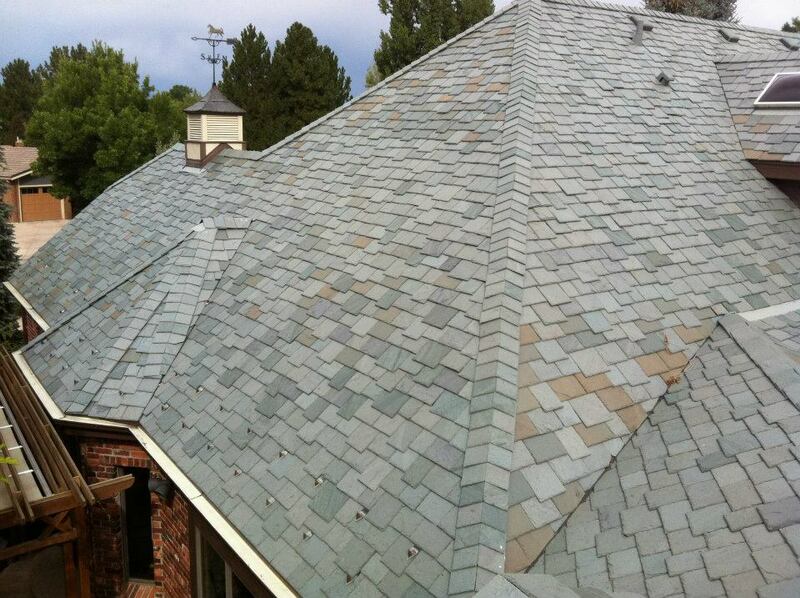 It looks great used by itself or within a slate color blend. Spanish Black is a color not found in Vermont, but exhibits the same characteristics and has the same warranty as Greenstone Vermont slate. Over time, this slate yields a variety of rich earth tones. When extracted from the quarry, it is monochromatic. 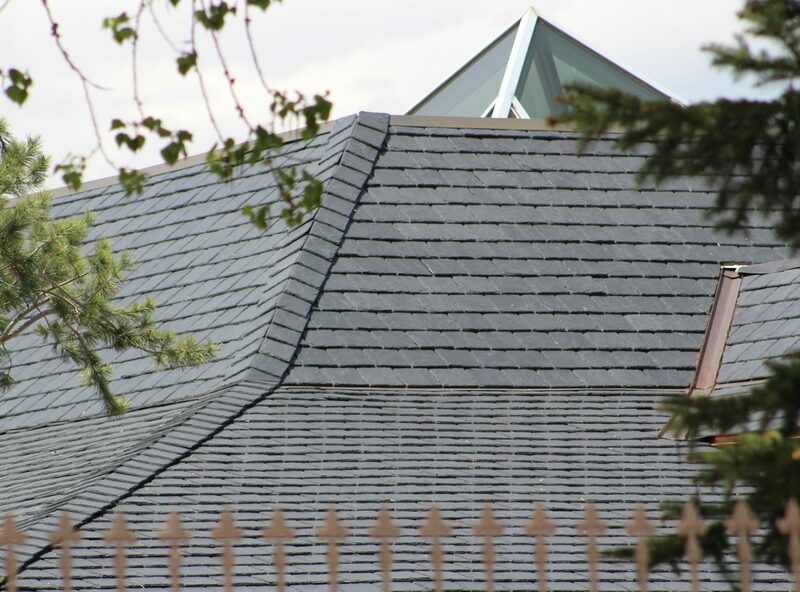 Approximately 10-25% of the slate will gradually change to soft tones of buffs and tans after exposure to the weather. 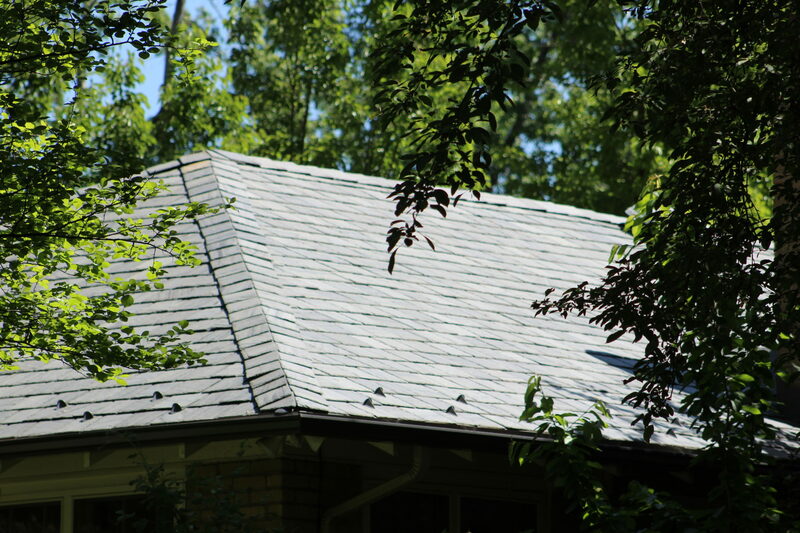 Semi-weathering Vermont Green slate gives a rustic, textured appearance to a roof and is used extensively on commercial, residential, and institutional buildings. 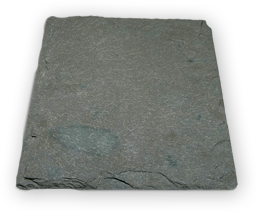 This Vermont slate is green with shades varying slightly to light gray, and can also exhibit clouds or spots of darker gray markings. 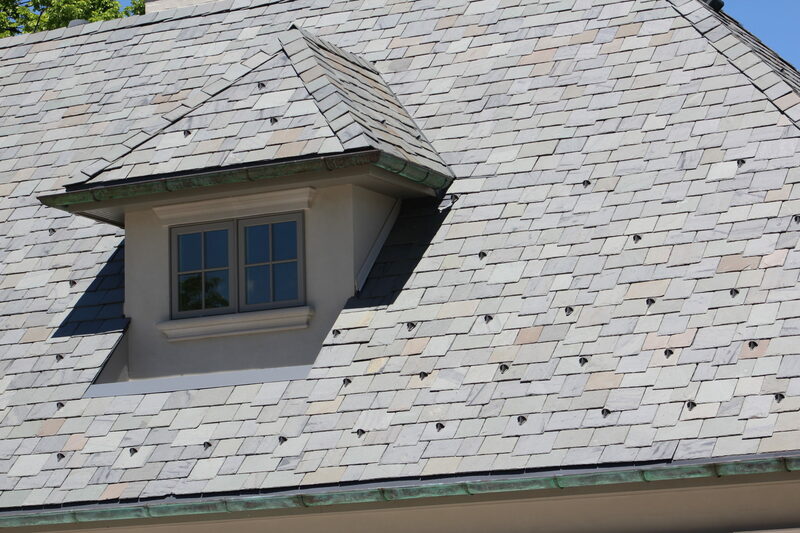 It is one of the most popular roofing slates. 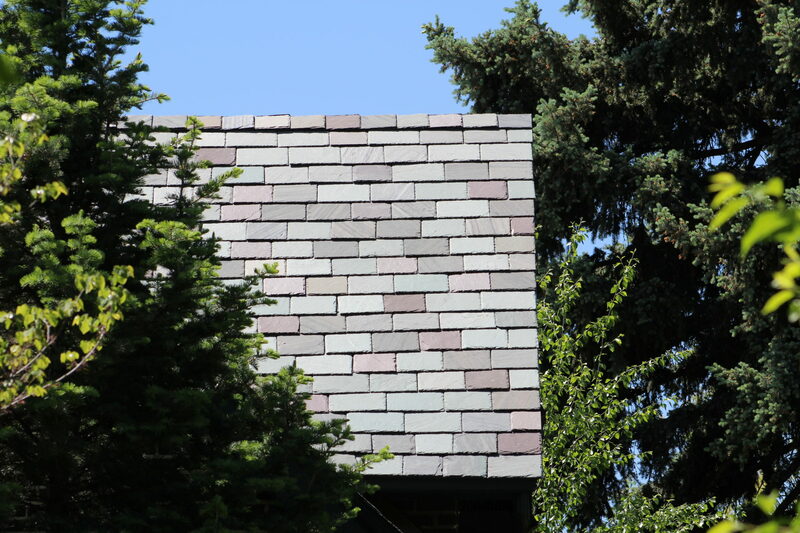 Non-weathering Gray Green slate can be used alone or as one of the blended colors on multi-colored roofs. 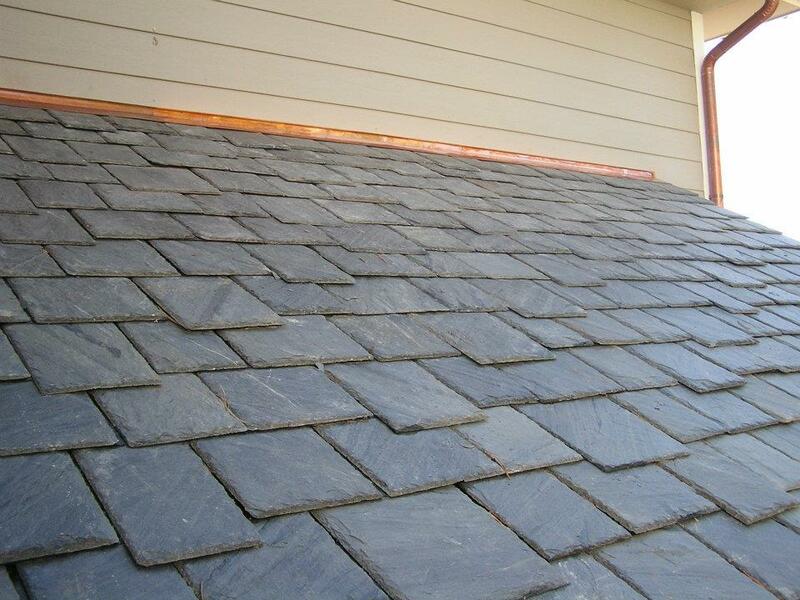 This semi-weathering slate is an excellent hard-vein slate in shades of light to medium gray. When weathered, 10-20% of slate will exhibit buff shades. 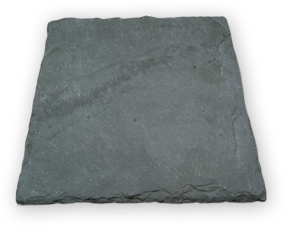 This non-weathering Vermont slate has a soft and continuous gray hue. Sometimes described as “the battleship color,” Vermont Wells Gray exhibits soft light grays accented with an occasional splash of black. Some pieces may exhibit small markings of green. 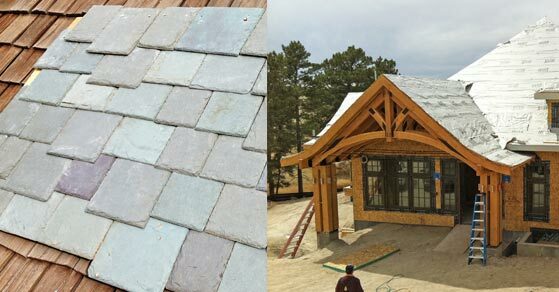 It’s a favorite of architects and owners for custom homes where they are blended with other slates to create multi-colored roofs. 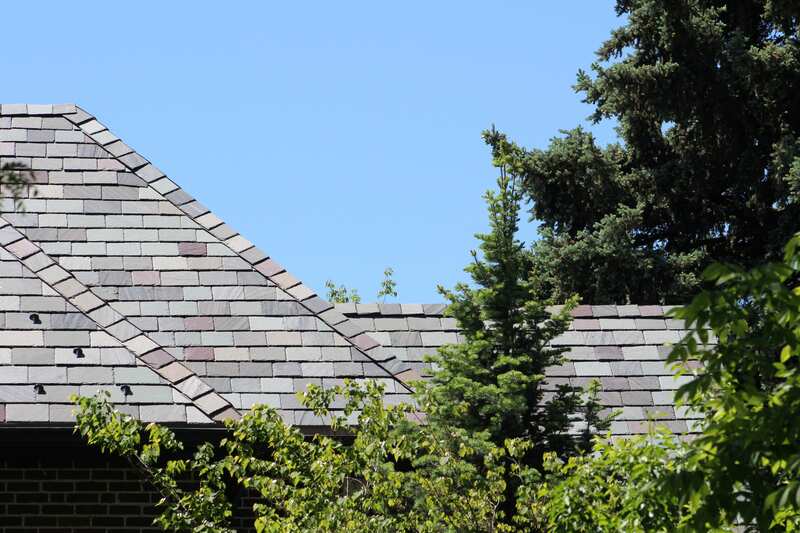 What is slate roofing and why should I choose it? 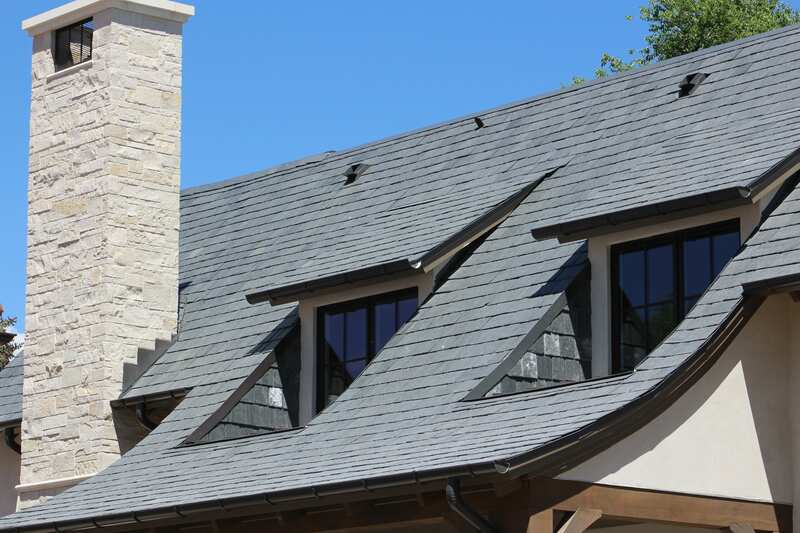 Slate is a fine-grained natural sedimentary rock that has been quarried and hand split into roofing tiles for centuries. The Beauty of SlateTec. Genuine. Lightweight. Guaranteed. 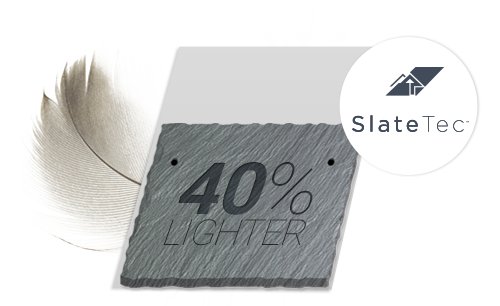 SlateTec - Available on All Homes with our weight savings! 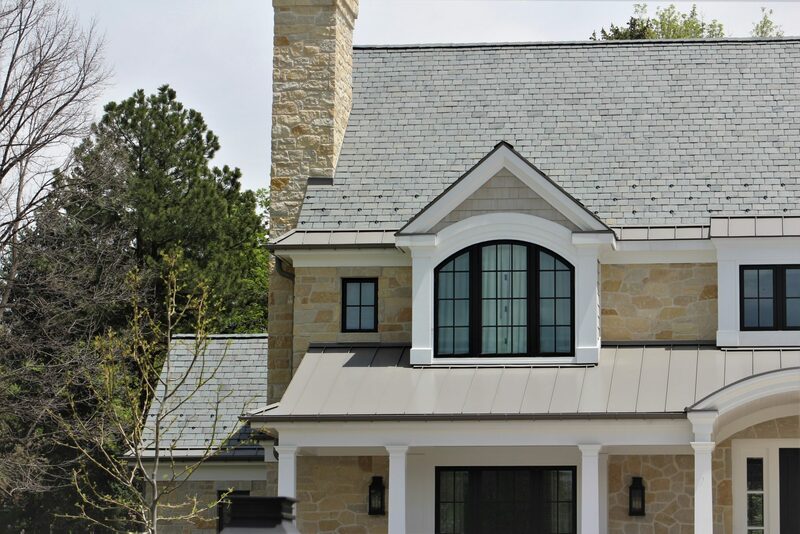 From Slate Roof Replacement and Repair to New Construction, SlateTec® by Genuine Roof Systems® provides a beautiful lightweight, less costly natural slate roof as an alternative to traditional roof installs, using slate, synthetic slate, cedar shake, and any other sloped roofing material. 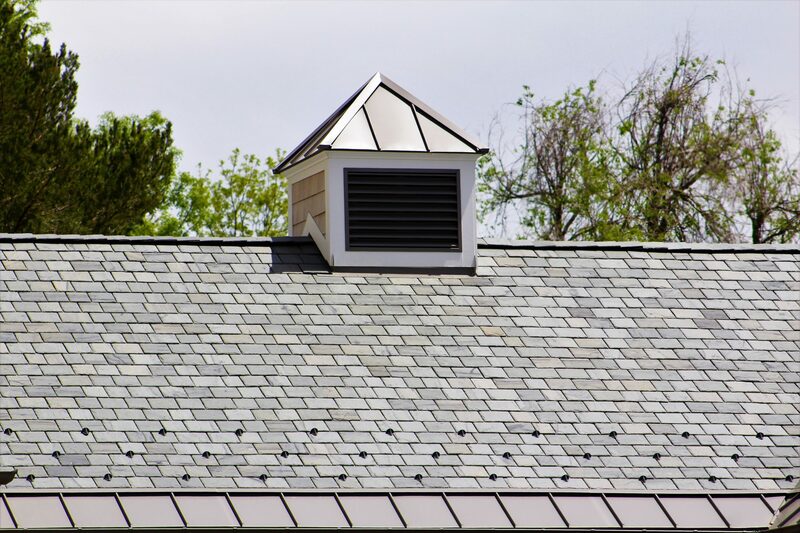 To learn more about the benefits of replacing your existing roof, click here. 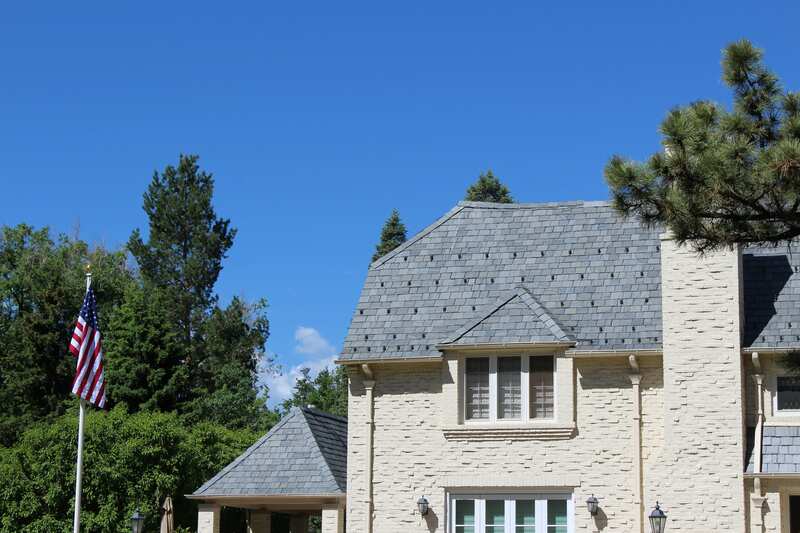 Do traditional slate roofs weigh and cost more? 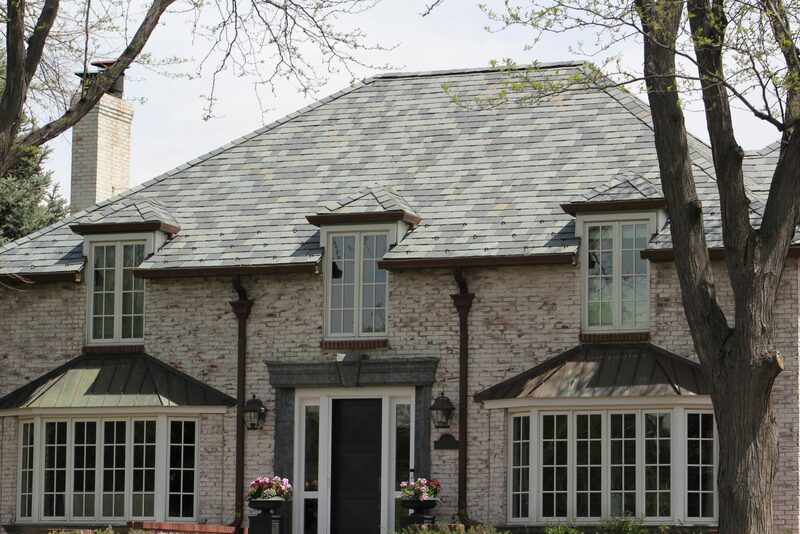 Yes, a traditional slate roof adds a great deal of weight and expense to an installation, so it has not always been the ideal choice for some home or business owners. 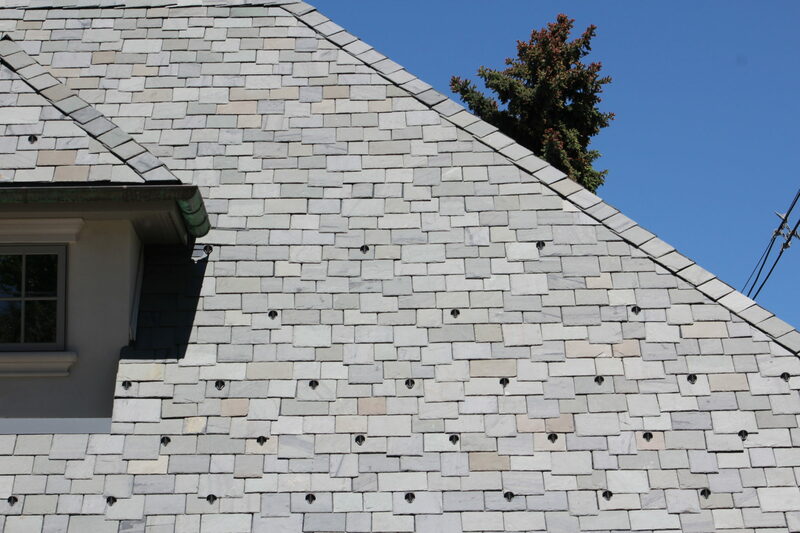 However, the patented Genuine Roof Systems interlayment technology eliminates the overlapping materials commonly hidden in standard slate installations, reducing the weight by up to 40%. Our innovative system also eliminates the need for added hooks, battens, or rails that other lightweight systems employ. As an added benefit, the reduction of roof weight also lowers structural costs, contributing further to the system’s high value. You can now achieve the same sophisticated look showcased on palatial estates on any home due to our lightened system. 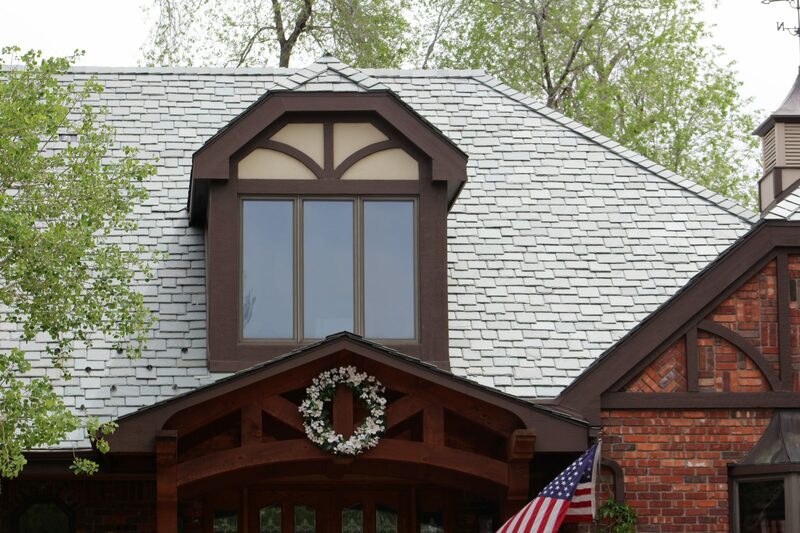 What does slate roofing look like? 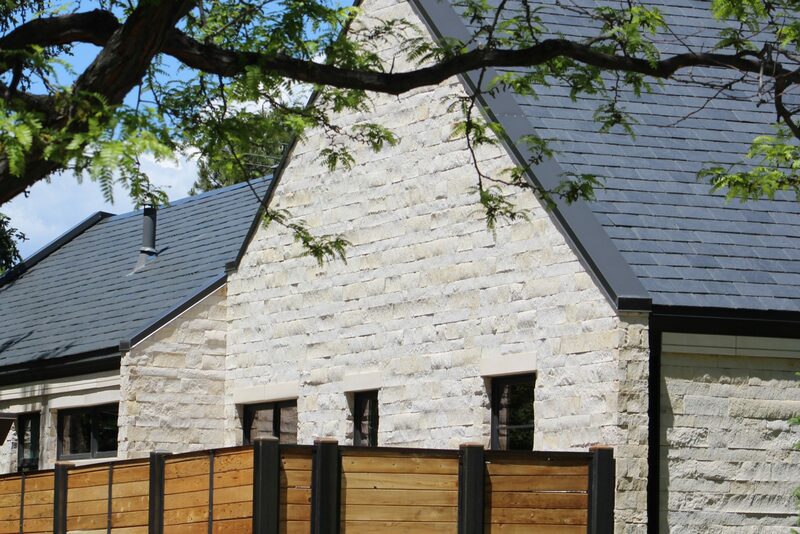 Constructed from genuine natural stone, SlateTec by Genuine Roof Systems achieves identical aesthetics as traditionally installed slate roof tiles, but without the additional weight. Don’t settle for the faux plastic slate used by other companies. 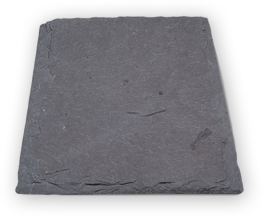 The SlateTec system features the highest possible quality S-1 rated Greenstone Slate® in all of the Vermont slate colors. 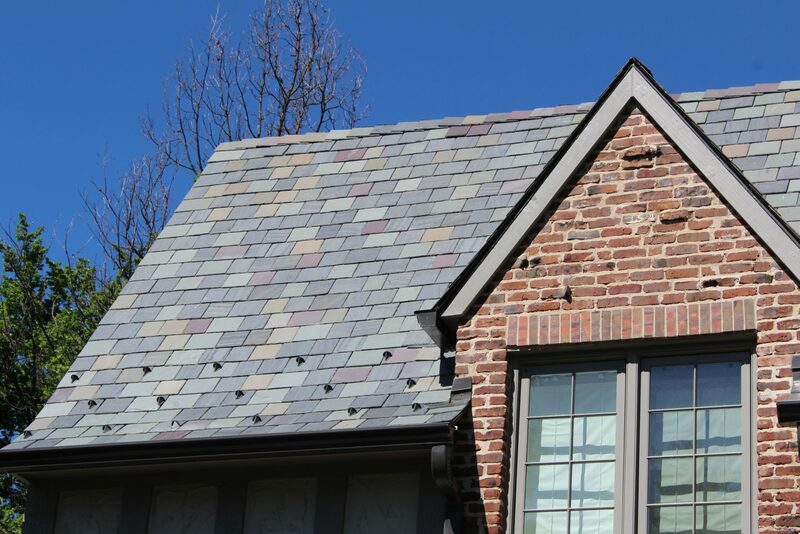 Our team will work with you to choose from the many slate colors and textures to create the ideal design for your specific project. The Pinnacle of Genuine Slate. Light Weight and Guaranteed to Last. 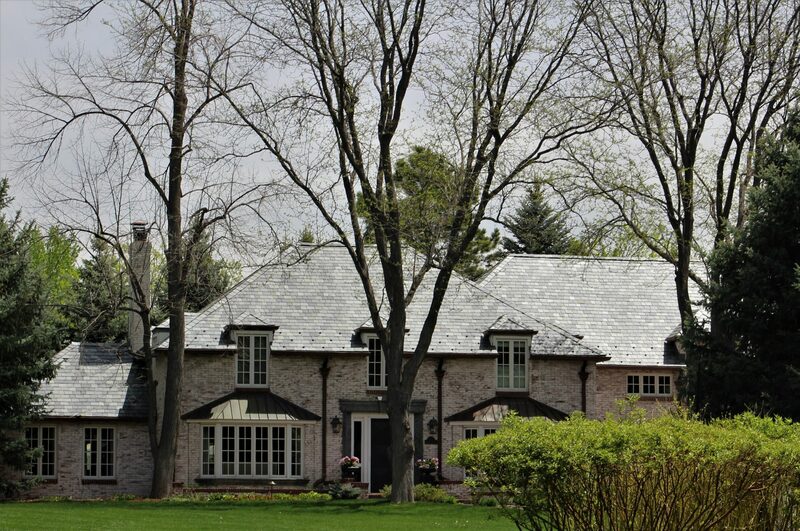 How long do slate roofs last? 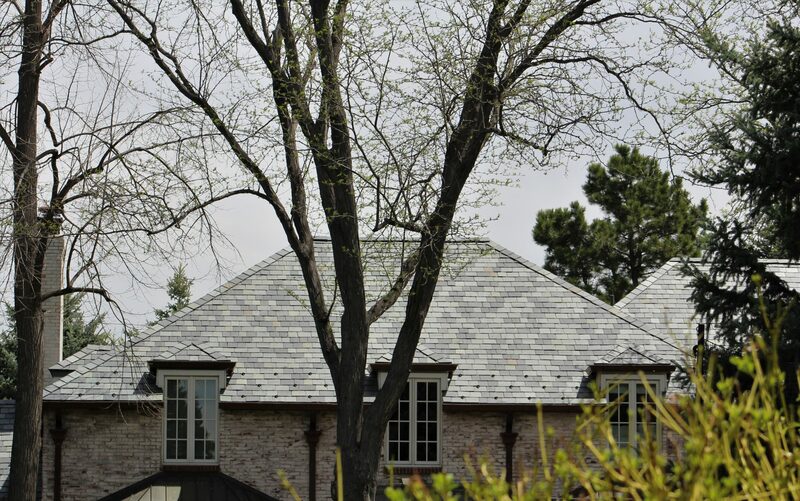 A properly installed slate roof can last for a century or longer, which is a vast improvement over many other roofing systems that only last 15-20 years. 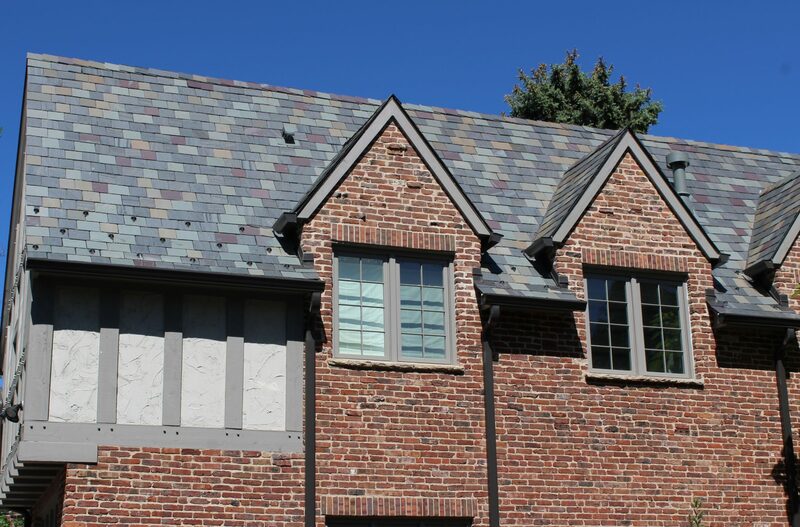 Our proprietary interlayment is designed to protect against weather and UV deterioration for 100 years when combined with our slate. 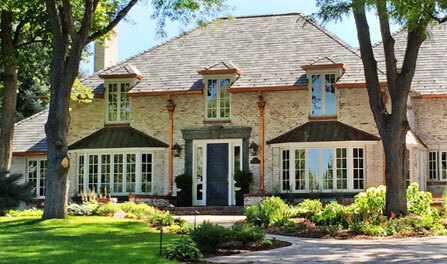 This major improvement to your prized investment is simply the best way to increase the value of your real estate. 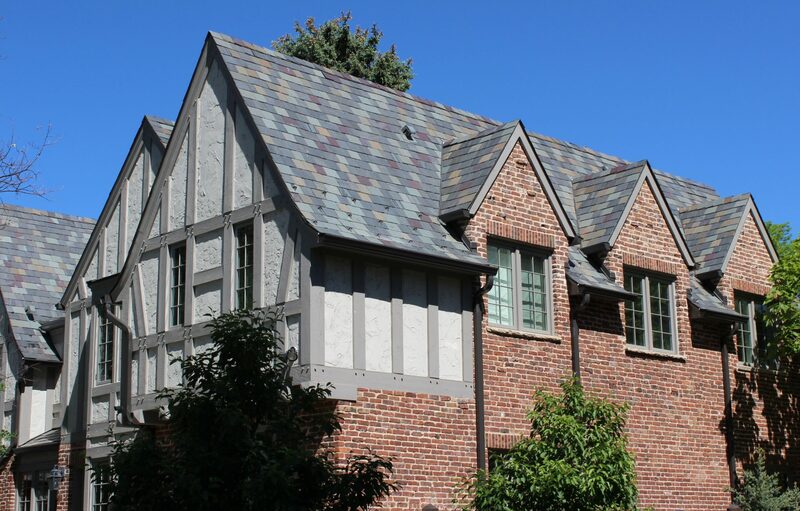 How are slate roofs installed? 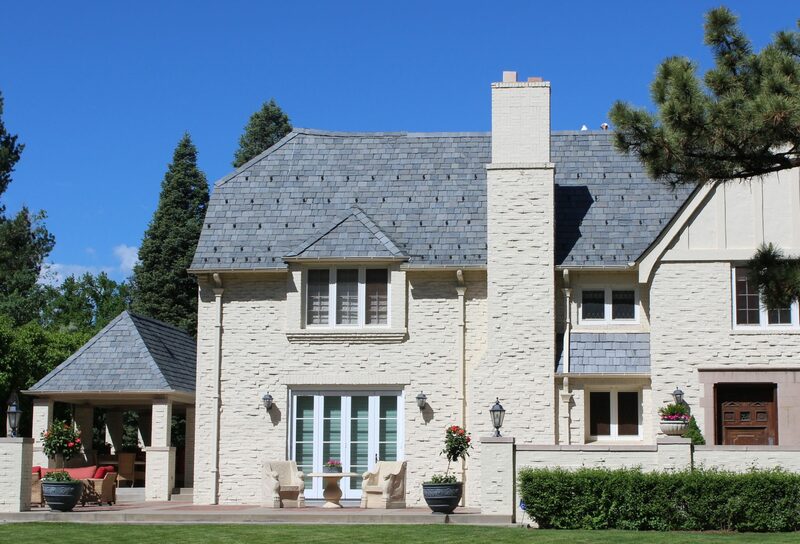 Any reputable contractor in your area can install your genuine SlateTec roof. The 1/4” – 3/8” SlateTec weighs less than 6 lbs. per sq. ft. The 3/8”– 1/2” SlateTec weighs less than 9 lbs. per sq. ft. The Genuine Roof Systems interlayment is designed to protect against weather and UV deterioration for 100 years exposed to the elements. SlateTec is installed with a standard 8” exposure and random widths, or with a staggered drop-downs for a more rustic “old-world” appearance. Less than six lbs. per sq. 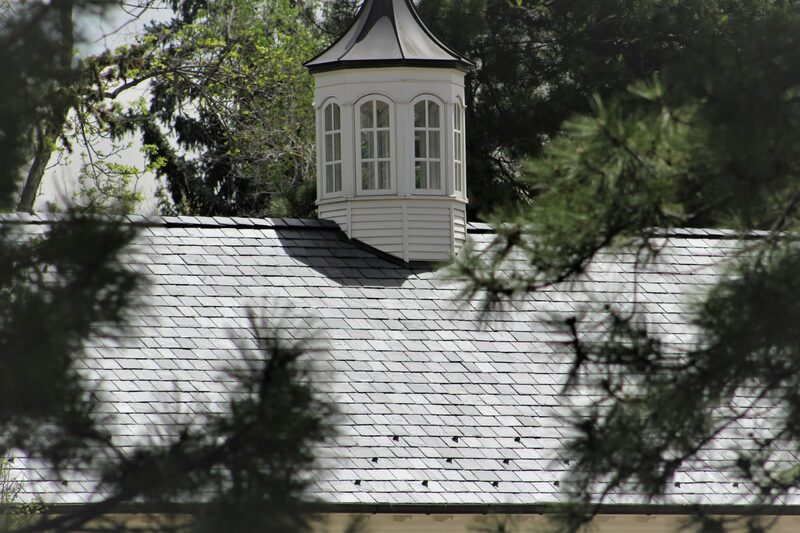 ft.
Vermont Architectural Roofing Slate. 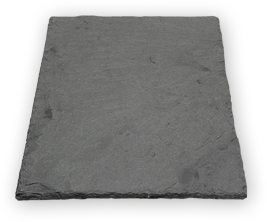 The World’s Highest Quality Slate. 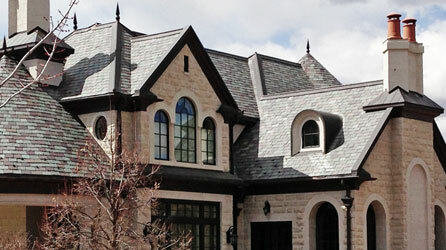 Nothing matches the natural elegance of the world’s finest quality slate from the renowned Slate Valley of Vermont. 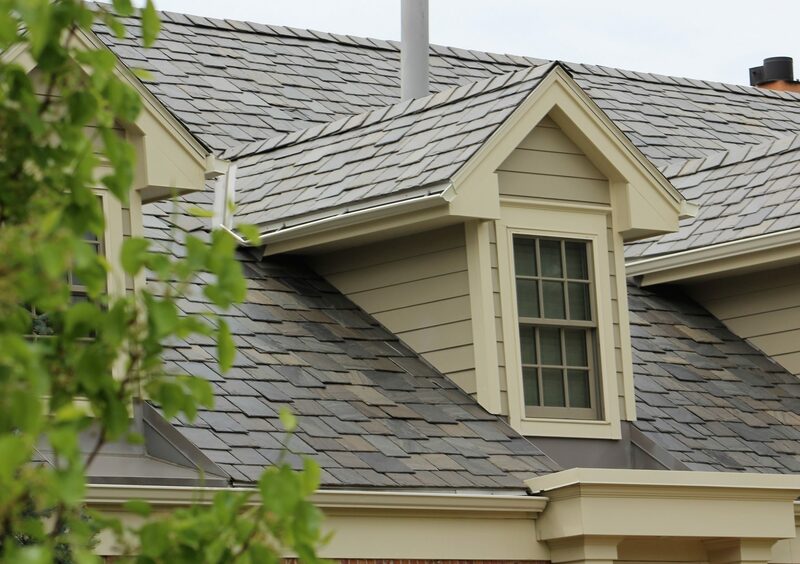 With the exception of the unique Unfading Spanish Black, Greenstone Slate® is manufactured in their Poultney, Vermont facilities. 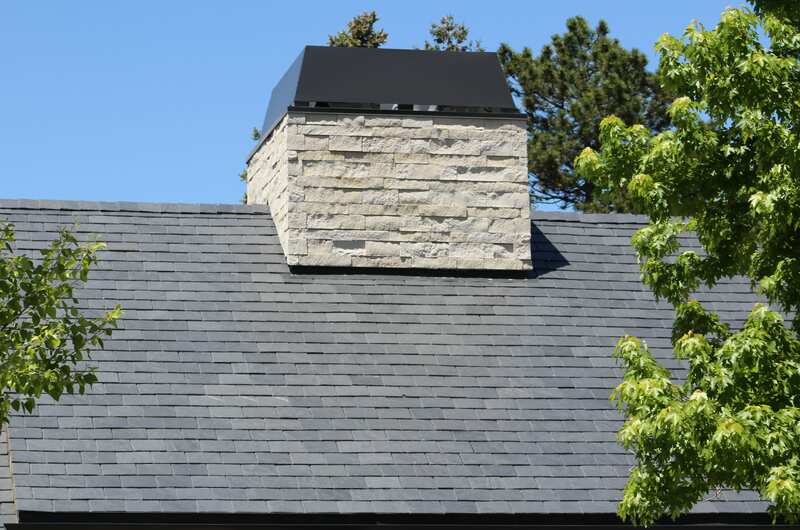 All Greenstone Slate® colors have been tested and meet the S-1 ASTM engineering specification (ASTM C406), which means they exhibit all the physical characteristics of the best quality slate available. 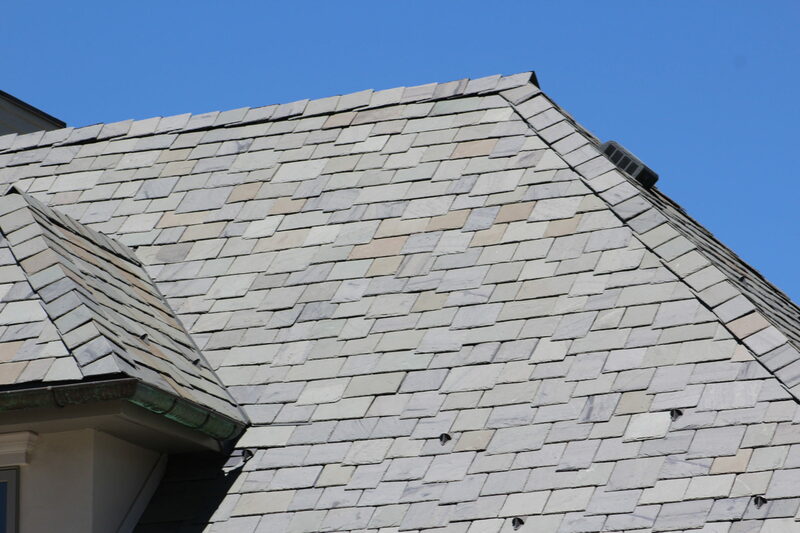 Please note that genuine slate color will vary somewhat, due to the natural variations in the stone. 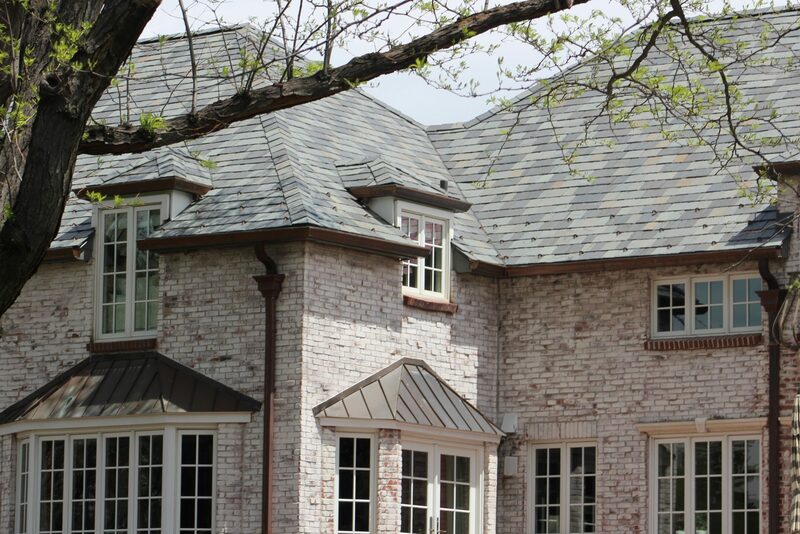 Your stone will have its own distinctive natural color characteristics, resulting in an entirely unique roof. 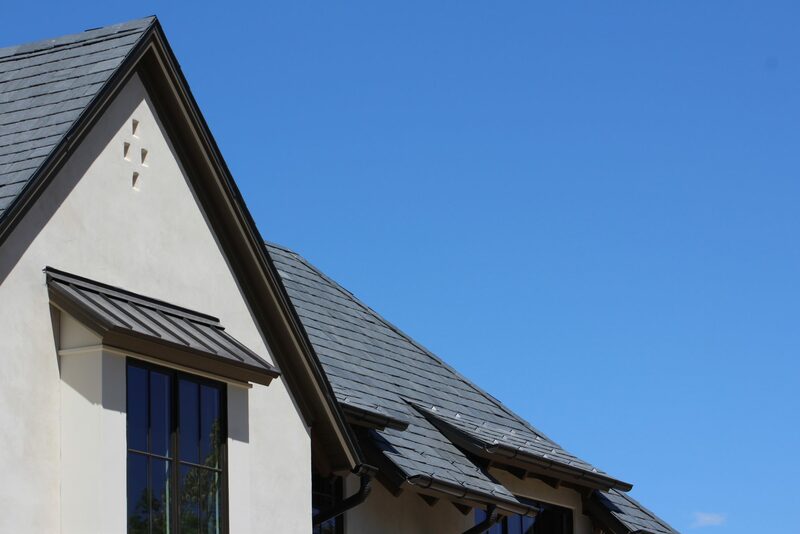 Images are representational only and simply serve as a guide to what you can expect for your roof; photographs and color swatches may look different on various devices and media. However, please keep in mind that your slate delivery will still exhibit its own exclusive visual presentation. With a wide variety of existing SlateTec by Genuine Roof Systems installations, it’s easy to be inspired for your own project. I couldn’t be more pleased with our experience working with SlateTec! I did a lot of research and checked references etc and I’m so glad we found them. From start to finish customer service has been excellent and the product quality is the best out there. 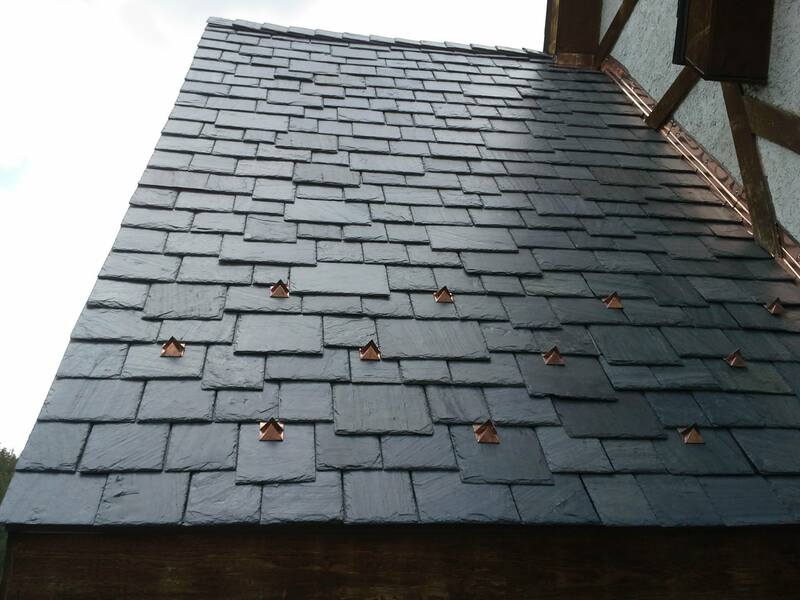 SlateTec will definitely be our go to supplier for our slate roofing projects! Fading: The term fading refers to certain slates that, after prolonged exposure to the elements, exhibit a chalk-ashen residue on the exposed surface of the slate. The chalk-ashen residue is the result of a chemical reaction and the associated release of calcium from the body of the slate. This release weakens the structural integrity of slate and is detrimental to the slate’s life expectancy. 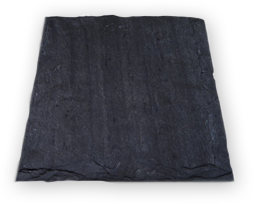 The term is most often used in conjunction with the Blue Black or Black slates of Pennsylvania and Virginia. Non-fading or Unfading: These terms refer to certain slates that, after a prolonged exposure to the elements, do not produce the chalk-ashen residue. Non-fading or unfading slates usually have greatly-extended life expectancies over those slates prone to calcium release. 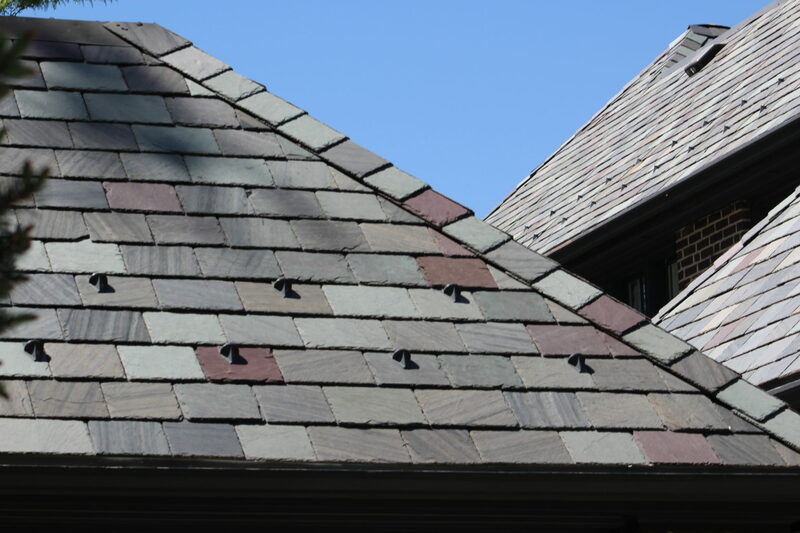 Weathering: The term weathering refers to slates that will exhibit the largest number of individual pieces that will transform from the original color to an earth tone. All colors are “semi-weathering” unless otherwise specified. Non-Weathering: The term non-weathering refers to slates that exhibit the least amount of color change. 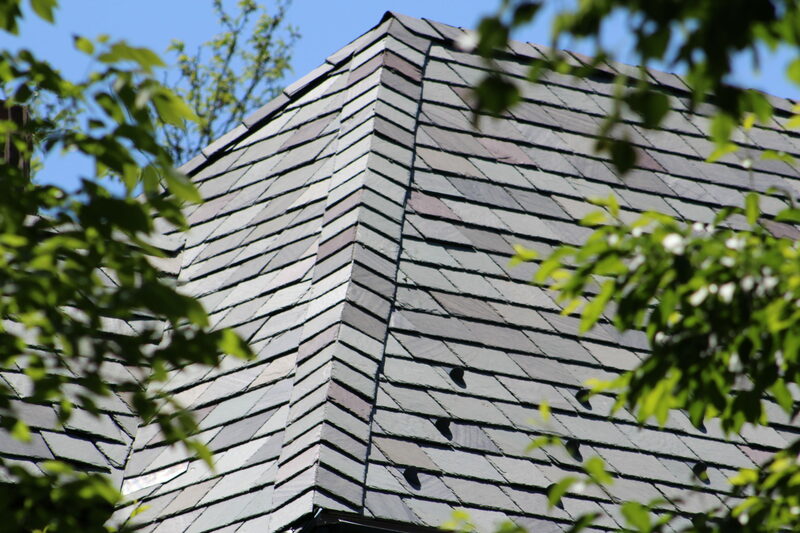 Semi-Weathering: The term semi-weathering refers to roofing slates that have varying mineral content. Some of these slates will undergo a color change, while others remain their original shade. The percentage of semi-weathering slates that will experience color change is variable depending upon the location in the quarry from which the slate was extracted.